The use of da Vinci robotic surgery systems has exploded in recent years according to one report, with 400,000 procedures being performed with the help of the robot last year. The corresponding growth in adverse events reports filed with the FDA has resulted in increased scrutiny by the agency over how safe the robots really are. Use of the robotic surgery systems, namely da Vinci, the only system approved by the FDA for soft tissue operations, has increased threefold in only four years. Recently, the system has been linked with several deaths and a few troubling incidents in the operating room. The question that the FDA must now decide is whether the benefits of robotic surgery outweigh the obvious risks. For years now hospitals have been advertising the supposed benefits of robotic surgery, in brochures, billboards and online. The goal is to attract new business and some claims used by hospitals have been misleading, citing unsubstantiated reports about the safety of such devices. As hospitals have fought for market share, particularly for lucrative surgeries, many have gone on a robotic buying spree. Numbers indicate that nearly four in ten hospitals have at least one such machine, a costly investment of nearly $1.5 million plus an additional $100,000 or more each year in service agreements. To help pay for the major investment hospitals have a huge incentive to bring in customers for the service, even if there may be no reason to use a robot at all. Currently, the da Vinci system is used most commonly for removing prostates, gallbladders and performing hysterectomies. Da Vinci robots are also commonly used in stomaching shrinking surgeries and have been used to transplant organs. As use of the device expands, so do the surgical possibilities for the robot, a practice questioned by many. So far, little if any scientific data has been able to confirm that robot surgical systems are any safer than traditional human operations. Though literature touts the benefits of robot surgery, claiming that patients suffer less bleeding and are often released from the hospital sooner, these claims have not been rigorously investigated. Though a few select procedures that require operating in small, hard to reach areas may benefit from the use of robots, it’s unclear that other operations do. A recent investigation into the da Vinci system discovered that since the beginning of 2012 there have been 500 adverse event reports filed with the FDA. These include five reports of death and several serious injuries. One woman died during a 2012 hysterectomy after the robot accidentally nicked a blood vessel. Another man died after his colon was perforated during his prostate procedure. In another hysterectomy case, doctors reported the da Vinci system hitting a patient in the face during surgery. No one was able to figure out why, and the doctor decided to open the patient up and complete the surgery manually. One especially troubling incident took place in January of this year when a robotic arm would not release a patient’s tissue during a colorectal surgery. The doctor reported having to do a complete system shutdown to get the grasper to open. Though no one is ready to definitively say robots have no place in a surgical room, serious questions should be asked about the true benefit of the machines and whether they are indeed the best option for all patients. The problem is that the rapid adoption of robotic surgery has so far been done without the necessary critical evaluation. If you would like to speak with a Mississippi medical malpractice attorney about a potential medical malpractice claim, call Mississippi medical malpractice lawyers at Kobs & Philley today at (601) 856-7800. 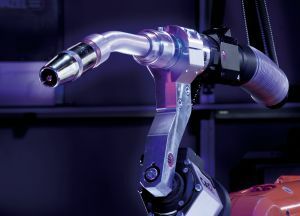 Source: “Robot hot among surgeons but FDA taking fresh look,” by Lindsey Tanner, published at yahoo.com.